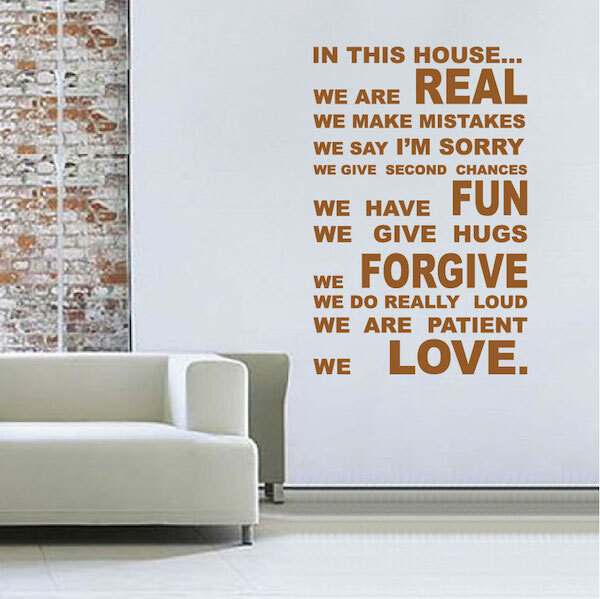 23"x15" 37"x24" 45"x30" 60"x40" 80"x52" 90"x60"
Enjoy this clever In This House Wall Quote with your loved ones! 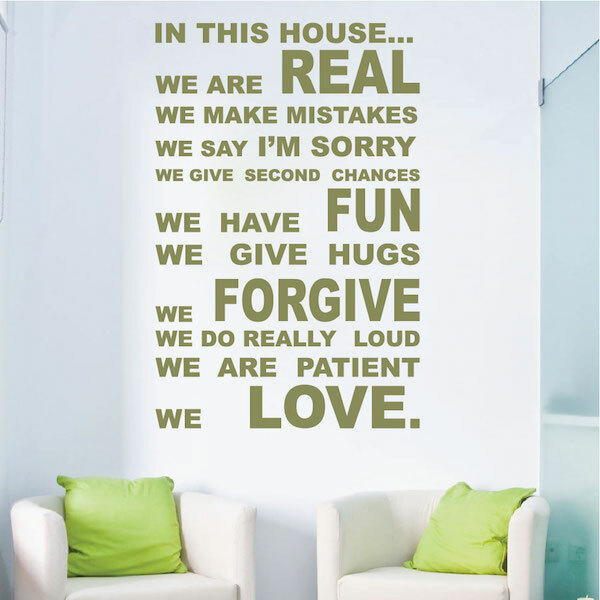 What a beautiful quote and decal for the home! Product was exactly as described. It was easy to install and looks great. Would definitely purchase from Trendy again. I purchased this for our living room and everyone loves it. The decal sticker is an amazing quality. People think we painted it on. It has been up for a few months now without any issues. 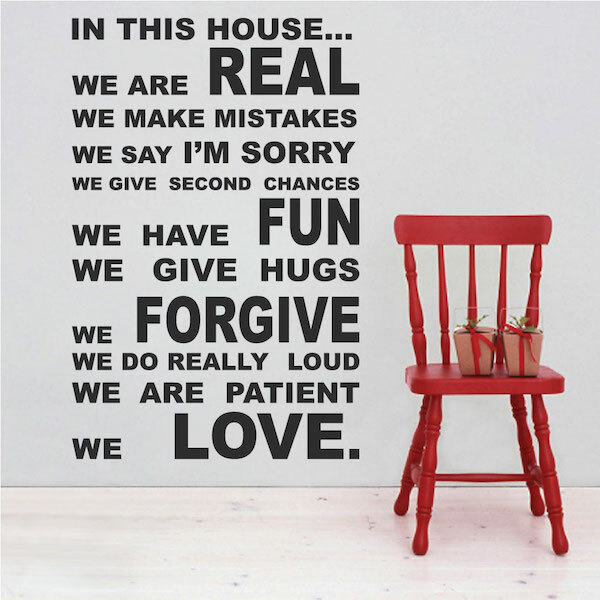 I will be purchasing more quotes for the other rooms in our home. Supper fast shipper! 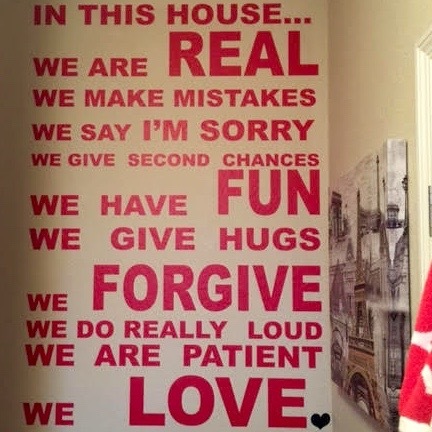 I bought this house rule decal to inspire my family members. It is a great reminder to all of us. I bought the largest size to cover the entire wall/space. It looks beautiful! The quality is amazing. In the future I will order more decals for our other rooms. Thanks.